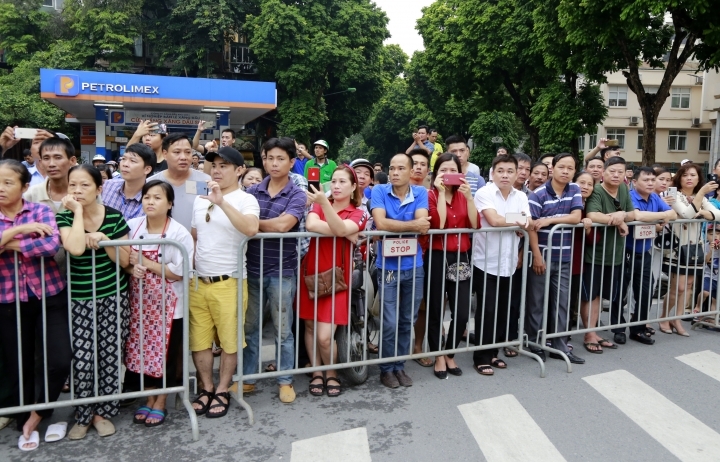 HANOI, Vietnam — Thousands of people lined the streets of Hanoi on Thursday to pay their last respects to Vietnam's late President Tran Dai Quang. 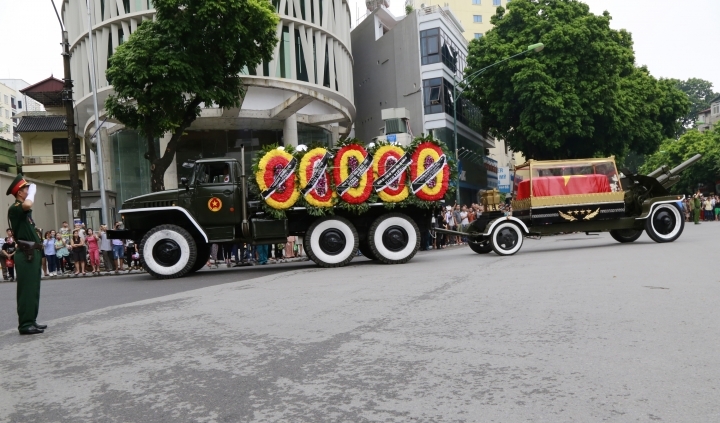 In a eulogy, Communist Party Chief Nguyen Phu Trong said Quang's passing was a great loss to the country and praised his contributions to the nation. Trong said Quang, who was public security minister before becoming president, had helped to "uncover and prevent many sabotage plots of the hostile and reactionary forces and other criminals." As president, Quang, along with other leaders, sped reforms to develop Vietnam's socialist market-oriented economy and worked to heighten Vietnam's international role, Trong said. 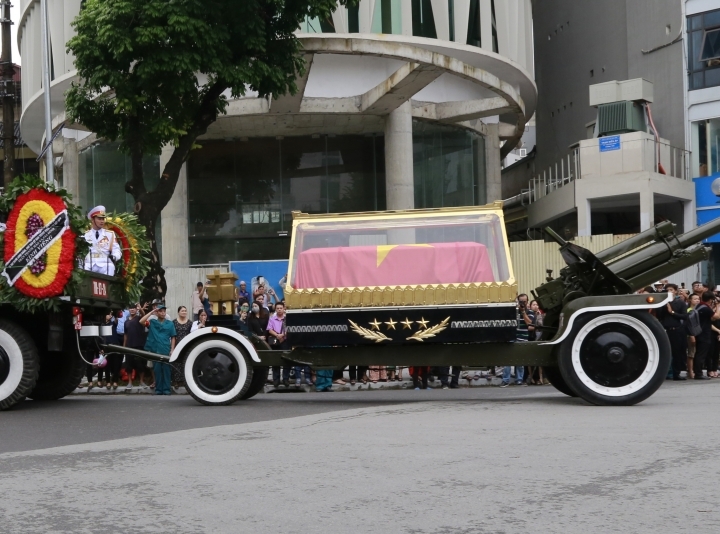 Cambodian Prime Minister Hun Sen and South Korean Prime Minister Lee Nak-Yeon were among dignitaries who paid their respects as Quang's body lay in state at the National Funeral House. 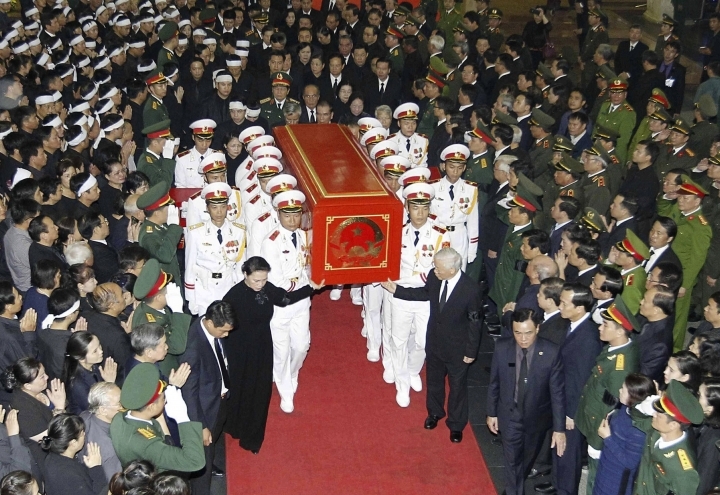 He was to be buried in his home village in northern Ninh Binh province later Thursday in accordance with his family's wish instead of the Mai Dich Cemetery in Hanoi where most of the high-ranking officials were buried. 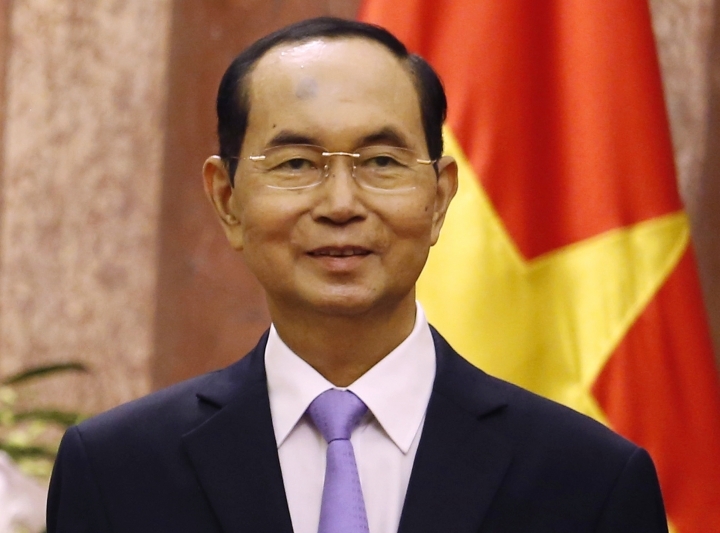 Quang became minister of public security in 2011 and was elected by the National Assembly as the nation's president in 2016. Vice President Dang Thi Ngoc Thinh has been named acting president, the country's first woman to hold that position. No date has been given for the election of a new president.